AUDI A6 C6 2007 / 04-11 2.0TDI Air Crash Bag Sensor 1K0909606C / Price per unit. Audi A4 RS4 A5 RS5 A6 RS6 A7 RS7 ETC. S LINE FLAT BOTTOM ROUND STEERING WHEEL AIRBAG. AUDI PART NUMBER. with the compatible steering wheel (Not included). NORTHERN ISLAND, SCOTTISH ISLANDS, SCOTTISH ISLES, ISLE OF MAN AND CHANNEL ISLANDS. MODEL -AUDI A6 C6 2.7TDI QUATTRO ESTATE. Highlands, Ireland/Northern Ireland / Scottish islands/ Scilly Isles/ Isle of Man / Isle of Wight. DONOR CAR SPEC. GEARBOX-HXM AUTOMATIC. ENGINE -BPP 132kW. AUDI RS6 A6 C7 MATRIX XENON BOTH FRONT LCI HEAD LIGHTS. In the event that a part is supplied and proven to be incorrect or faulty, Usedcarparts must be notified within 48 hours. Add details. All parts are stamped & removal of the marks will invalidate your warranty. Audi a6 c7 steering wheels airbag. Delivery only uk. SRS - AUDI A6 C7 RS6 AIRBAG KIT / SET. PAIR OF FRONT SEATBELTS. PASSENGER DASHBOARD AIRBAG. (Part Number: 4F0880201 BH. Donor Vehicle: AUDI A6 C6 2008. 9) our warranty covers the cost of the part, and no other costs incurred. example, labour is not covered. cost of hire car is not covered. BREAKING FOR PARTS: AUDI A6 C6 SE SALOON 2.7TDI V6 MANUAL 180BHP - 2006. All our parts are used second hand and off the shelf so may have storage marks on them. MAKE SURE THE PART NUMBER MATCH WITH YOUR OLD PART. RS6 Airbag Kit. Airbag Kit. Includes: Drivers OS Airbag, Passengers NS Airbag and Bare Dashboard Assembly. Fuel type: Petrol. 2013 AUDI A6 Airbag Kit. This item has been removed from a: 2013 AUDI A6. A6 C6 2.0 TDI. COLOUR: PHANTOM. All our used parts are in good condition and are tested prior to dispatch. TOP QUALITY CAR PARTS. PART NUMBER ITEM CONDITION. BODY TYPE GEARBOX: 7. AUDI A6 A7 C7 FRONT PASSENGER DASHBOARD AIRBAG. Genuine OEM part4G8880204E. 4H0 959 651 A / 4H0959651A. Genuine, Original Audi A1, A6, A7, A8 AIRBAG Front Crash Sensor. Under Official Audi database, Audi A6, A7, A8 models have total 3 of these sensors built in the front. Lateral Impact Sensor. Fits models: 2013 - Onwards. - Audi A6 Dashboard Heads Up With Speaker (Black). Mon-Thurs: 8:00am - 5:30pm. However, when buying from AIRBAG TEAM our price includes reconditioning your original Airbag ECU/Module. Fits models: C8 4GH 2018 - Onwards. - Dashboard ( Spec - reconditioning service . This Airbag kit will be arriving shortly! 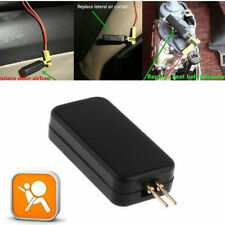 - Passenger airbag reconditioning service . - Driver airbag (need photo of yours) reconditioning service . ). Grey pearl coloredAudi A6 S-Line 2.7 Tdi Quattro (2006). THIS PART IS GENUINE AND IN GOOD WORKING ORDER. PARTS SHOWN IN PICTURE IS WHAT YOU WILL RECEIVE! We try our best to make sure that you receive the item as you have expected it to be. 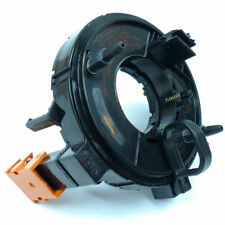 AUDI A6 TT S3 GOLF MK4 STEERING WHEEL ANGLE SENSOR Part number :- 1J0 959 654 AC. Condition is Used. Dispatched with Royal Mail 1st Class. Dashboard (Black - NON HUD - RHD). Fits models: C7 2012 - Onwards. - Passenger airbag. - Driver airbag (option 1 or 2). However, when buying from AIRBAG TEAM our price includes reconditioning your original Airbag ECU/Module. Audi A6 2012 - Onwards Airbag Kit Dashboard Driver Passenger Belts LHD. Fits models: C7 4G 2012 - Onwards. - Dashboard (H.U.D Spec - black - left hand drive). - Passenger airbag. - Driver airbag (option 1 or 2). AUDI A6 C6. IV / HS / KA / KW / PA / PH / ZE / TR26 / TR27 / BT / IM / GY / JE / BF. DRIVER AIR BAG. Most electronic components require programming after installation. CAR SPARES. OTHER PARTS ARE AVAILABLE FOR THIS VEHICLE. 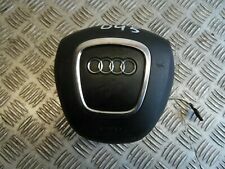 AUDI A4 B6 2001-2005 BLACK 4 SPOKE DRIVER OFFSIDE AIRBAG. THIS PART FITS OTHER MODELS. PART NUMBER IN ALL CASES WE STATE THE CONDITION OF OUR PARTS. All Parts have been checked and are in good working order. TOLEDO MK2 /1M2/ (1999-2006). LEON MK1 /1M1/ (1999-2006). AIRBAG SPIRAL CABLE CLOCK SPRING. AUDI A8 /4D2, 4D8/ (1994-2002). AUDI A3 /8L1/ (1996-2003). AUDI A6 /4B, C5/ (1997-2004). AUDI A6 AVANT /4B, C5/ (1997-2004). AUDI A6 2010 S LINE LE MANS QUATTRO. C6 4F DASHBOARD AIRBAG KIT. SEAT BELTS,ECU. KIT INCLUDES DASHBOARD, PLUS DASHBOARD AIRBAG, PLUS 3 SPOKE STEERING WHEEL AIRBAG, PLUS AIRBAG ECU, PLUS FRONT DRIVER AND FRONT PASSENGER SEAT BELTS. IN GOOD> EXCELLENT CONDITION. Audi A6 C6 Airbag Switch. Condition is Used. Dispatched with Royal Mail 2nd Class Letter. Model:A6 Saloon 2.8 V6 Quattro APR Engine code. Part:Drivers Airbag. We will do our best to resolve any problems you may have. All our parts are security marked before being dispatched. IV, HS, KA27-28, KW, PA, PH, ZE, BT, TR and PO. FOR YEARS: 2009, 2010, 2011, 2012, 2013, 2014, 2015, 2016, 2017 (2013). Audi Breakers. Seat Breakers. All engines & gearboxes will usually be drained of all fluids for carriage. Gearboxes must be filled with new oil upon installation. AUDI A4 B6 01-05 BLUE 4 SPOKE DRIVER/OFFSIDE STEERING WHEEL AIRBAG. OS is offside, right, or driver’s side in the UK. NS is Nearside, Left, or the passenger side in the UK. Be sure to add Nirro to your favourites list ! AUDI A4 B6 01-05 GREY/BEIGE 4 SPOKE DRIVER/OFFSIDE STEERING WHEEL AIRBAG. COLOUR CODE -42R JIVE GREY/BEIGE. OS is offside, right, or driver’s side in the UK. NS is Nearside, Left, or the passenger side in the UK. Fits Models : A6 S6. The AIRBAG system MUST FUNCTION CORRECTLY to pass an MOT. Is your airbag warning light on?. We accept all major credit & debit cards. Did you know we our warehouse is in Leicestershire, you can collect or we may be able to drop off?. Fits Models : A6 S6 A7. The AIRBAG system MUST FUNCTION CORRECTLY to pass an MOT. Is your airbag warning light on?. We accept all major credit & debit cards. Did you know we our warehouse is in Leicestershire, you can collect or we may be able to drop off?. MODEL -AUDI A6 C6 2.7TDI QUATTRO ESTATE. Mainland UK only. TRIM CODE -NOK/NQ. DONOR CAR SPEC. GEARBOX-HXM AUTOMATIC. Highlands, Ireland/Northern Ireland / Scottish islands/ Scilly Isles/ Isle of Man / Isle of Wight. MON - FRI 9AM-6PM. OUR REF: 1298-280416-15592981.